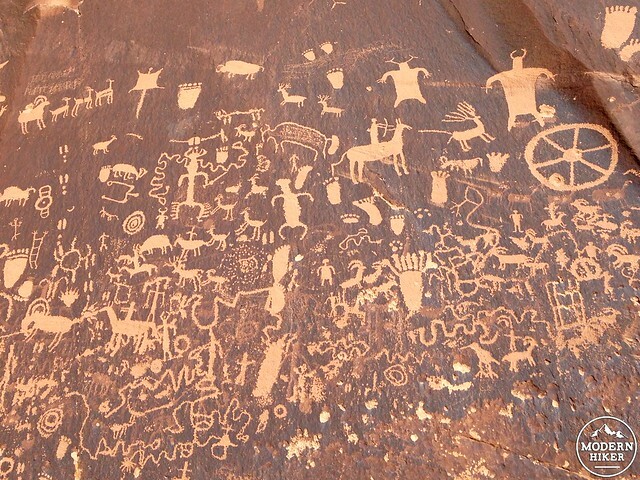 Newspaper Rock is located just outside the entrance to the Needles District of Canyonlands National Park in Indian Creek – a BLM region popular with rock climbers. 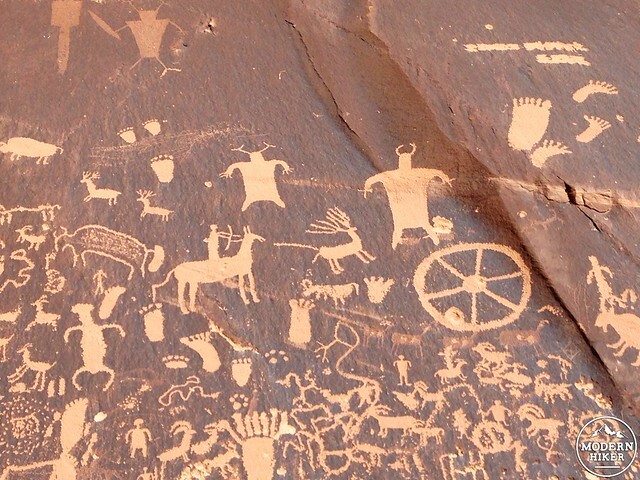 It’s a short walk from the roadside parking and is one of the largest-known collections of petroglyphs in the country. 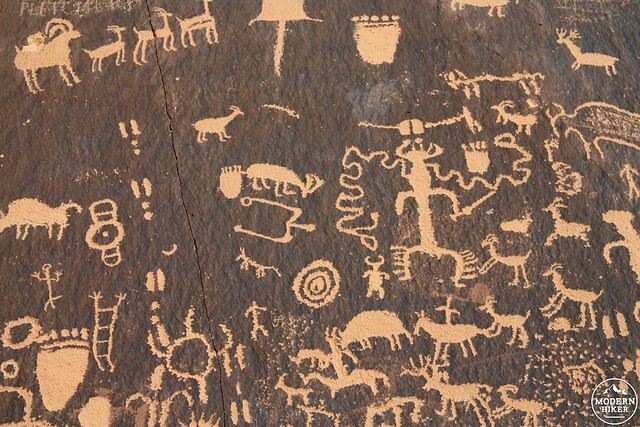 There are more than 650 individual glyphs carved into the desert varnish, and unlike many petroglyph sites in the Southwest, these are not only very easy to reach but you’re also able to get relatively close to them, too. Many people drive right past this site on their way to somewhere else, but it’s well worth a quick stop. 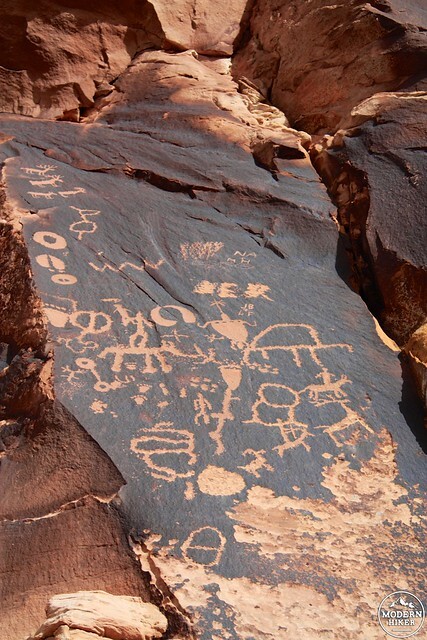 The inscriptions on the rock are about 200 square feet, and have been carved over the last 2000 years into the dark layer of manganese-iron and bacteria that’s known as “desert varnish.” As the varnish continues to build, the older glyphs are a slightly darker color. 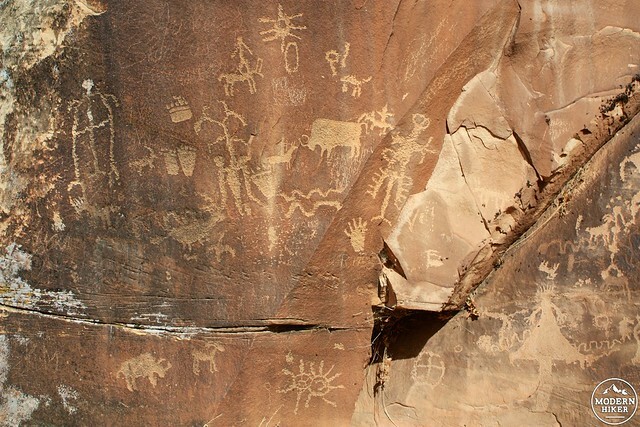 Much as it’s humbling to be in this region’s ancient canyons and riverbeds, it’s equally as awe-inspiring to be presented with thousands of years of human history in one field of vision. Some of the glyphs are incredibly complex and realistic looking – others are abstract and strange, but all are fascinating to see. 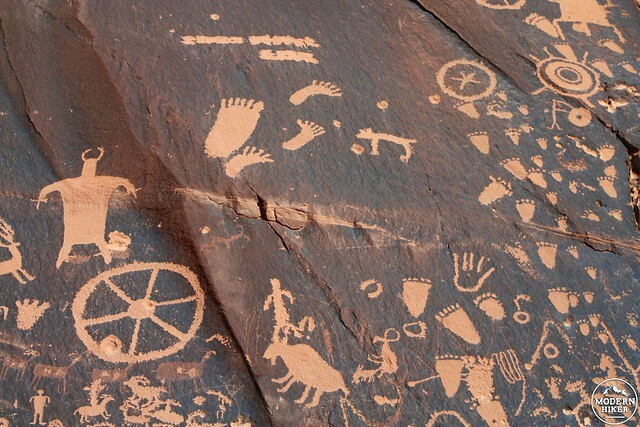 You’ll find it difficult to take your eyes away or wonder what some of these symbols meant to the long-vanished people who carved them into the rock before you. Very good - this is just a short walk from the parking area to the Newspaper Rock itself. There are several first-come, first-served BLM campgrounds nearby - many of which can be used without a fee. The area is popular with rock climbers, however, so it helps to have a few options in mind. 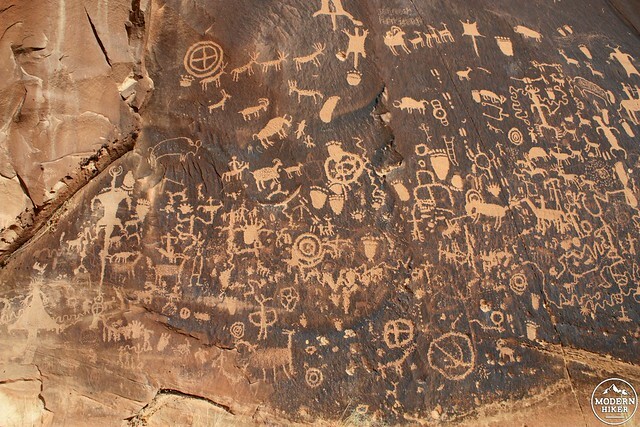 Newspaper Rock is located approximately halfway between the town of Monticello, Utah and the entrance to the Needles District of Canyonlands National Park. From Monticello, head north on US 191 for 14.4 miles, then turn left onto UT-211 West. 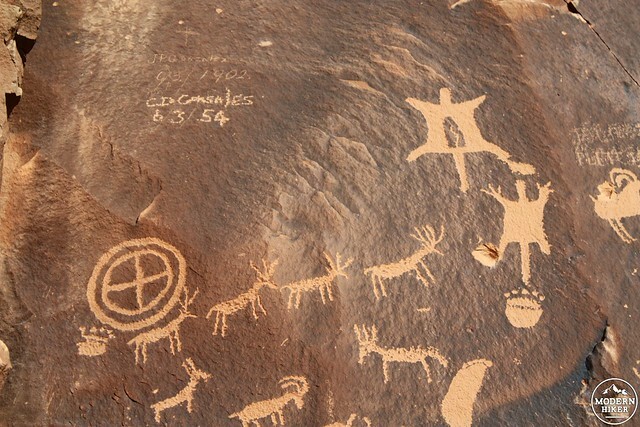 Newspaper Rock is 12.2 miles away from the intersection.